the 11 to 13th of April in Las Vegas. 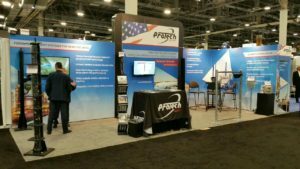 The company will demonstrate the full line of PROTECH/SORHEA perimeter security systems, especially the PIRAMID and ONETRACK ! ISC West is the largest physical security exhibition in North America, attracting 10s of thousands of visitors who will learn about perimeter security, access control, alarms & monitoring, biometrics, IP Security, video surveillance / CCTV, Networked Security Products and more.